Baburam Moktan is a wonderful example of how the dedicated supporters of Stand by Me can help to transform a child’s life. Imagine leaving your home and walking along a bumpy dirt track for an hour and a half before you reach any sign of life on a main road. This is the reality for Baburam Moktan, a young boy who lived in a remote village in Nepal, where poverty was extreme and education was just a dream. Baburam’s parents obtained occasional work on a nearby farm but despite longing to care for their children, they could not earn enough to feed their family adequately. The remoteness of their village also meant there were no opportunities for children to go to school. For this reason, Baburam was enrolled in the Stand by Me children’s hostel in May, 2011. Because of the vast distance from his home village, Baburam knew nothing about the community and very little of the Nepali language when he first joined the home. Initially he was a shy character and tended to keep things to himself, he always seemed very sad and uncertain about those around him. This bright little boy was lovingly welcomed into the Children’s Hostel by Stand by Me. Our hostel was the perfect environment for Baburam to gain confidence and with 123 boys and girls living there, there was plenty of chance to make new friends. We are pleased to say there has been a great change in Baburam since Christmas time. He is now smiling, is very sociable and takes part in all the activities. 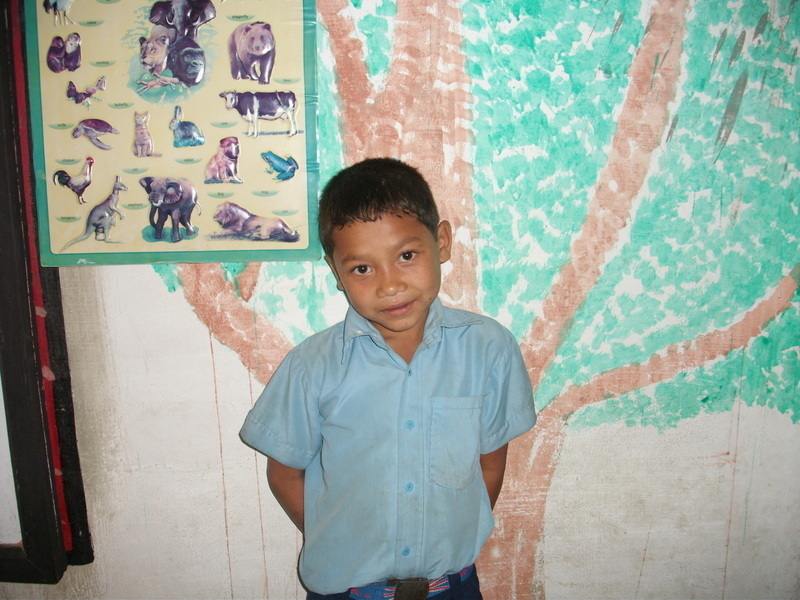 It has been a real blessing for Baburam as it has given him the opportunity to study and build up his self-esteem.